Back in March the Hamilton Southeastern School leadership reached out to individuals at each of the twenty-one schools to have a meeting to discuss security within the schools. The “school safety” meeting was focused on having a community conversation around how safe our kids are within the HSE schools. The meeting was kicked off by Superintendent Dr. Bourff and lead by Dr. Beresford, the Assistant Superintendent of Staff and Student Services. They expected to have a forty- to fifty-minute presentation followed by two-way discussion. It was no surprise that the actual presentation of information by the district was closer to 90 minutes before the conversation started. In this post, I present many of my notes from this meeting. As you’ll see below, a lot was covered. Recently the district had a second meeting that covered many of the same topics that was open to the public. That meeting was attended by hundreds of members of the community, numerous members of the police forces from around Hamilton County, and the mayor. The comments made at this more recent meeting were similar to the comments made in March. Dr. Bourff kicked off the March meeting by indicating that there are many safety procedures in place within the HSE schools that they couldn’t share in order to protect the procedures. It was stated that there are a number of safety procedures in place and that many of the safety procedures would continue to evolve and improve. Dr. Bourff indicated that there are many layers to the safety procedures within the school system that all work together. 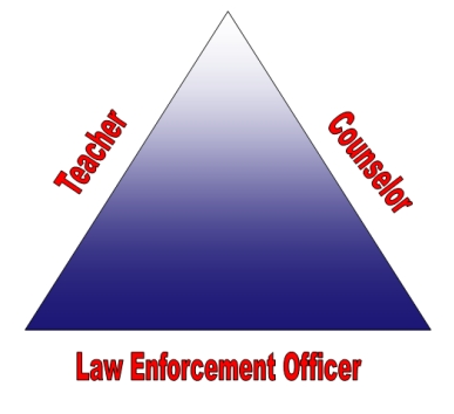 In addition to these layers, there are many individuals within the school system that contribute to core initiatives around the safety and security of the kids. Dr. Beresford stated, “We’re responsible for keeping your kids safe.” He went on to say that school shootings shake everyone up. Shootings not only impacts the kids and parents, but it also shakes up the teachers and administration. It is for this reason that they have a lot of people engaged in continually improving the strategy and in working with the schools and community. Many of the people leading safety initiatives attended the March meeting to present on School Safety. Dr. Beresford indicated that there are three areas of focus when discussing school safety: Prevention, Response, Recovery. One of the most important keys to prevention of issues within the schools is to maintain positive relationships and communication. By having positive relationships, it is more likely communication will happen. There are three layers of communication that are pinnacle for reducing the chance of safety issues happening within the school. The number one source of information around potential issues is students. The importance of keeping channels of communication open with the students and others was emphasized as being critical. The school works hard to make sure that students are comfortable in sharing what they hear or see that might seem out of line or a bit “off”. The second layer that provides information in the prevention of issues is communications from parents and staff. Like with students, parents and staff are more likely to see or hear something that could indicate an issue. The third layer in the prevention is the communication that happens via other sources. This would include comments and tips that come from social media or other sources. Social media sources such as Facebook, Twitter, Instagram, and Snapchat often are used as sources to provide evidence of potential issues. One of the existing preventative programs currently in place is Text-Tip, which is a program that allows students, parents, or others to send text or email messages anonymously. It was indicated that these tips go through a third party that is outside of Indiana. This helps maintain the privacy of the person making the tip. Even by going through a third party, it was indicated that the system can be extremely fast and can be two-way. The administration has the ability to reach back to the third party, which can then respond back to the tipster if more information is needed. Text-a-Tip is one of the top two or three channels for the administration to get information. It was indicated that the system is helpful beyond even security information. Text-a-Tip can be added to your mobile phone contacts under the number 274637. Within the Hamilton Southeastern schools, several mental health initiatives have been pushed to the forefront this past year. This includes each of our schools having a therapist that is available to the students. This was a direct result of the referendum dollars and a program that was set up with Community Health. Along with the addition of therapists, there has been training within the schools. All staff have received suicide prevention training as well as CIT-Y, Critical Incident training. All of this is overseen by a director of mental health and school counseling, Brooke Lawson, who works within the Central Office. One of the key areas of helping secure our schools is the inclusion of School Resource Officers (SROs). There are currently seven SROs within the HSE school system. At the recent public meeting, it was stated that the district is looking to add additional SROs in the future. Lt. Mike Johnson talked at the meeting about the role of the SROs within the schools. SROs are trained police offers that have the roles of teaching, counseling, and providing enforcement. While these are police officers, the role of law enforcement is really a minor part of what they do. They are also not disciplinarians. That is a role that the school takes on. The SROs are focused on building relationships within the schools with the students. Because it is a unique role, not ever police officer is qualified to become an SRO. Police officers are carefully selected for the position and then specially trained. It is because of this special training and careful selection that new SROs are not immediately available. Rather, officers selected today would be trained to be ready later in the year for the positions. One of the tasks that SROs do above and beyond working within the schools is to create a list of issues they find in the schools. This can range from things as simple as broken sidewalks where someone could get hurt to concerns with student access that could cause safety issues. In addition to the communication that happens with the SROs within the schools, there is also regular communication between the local police and the school leadership. Issues such as domestic violence can have an impact on a child and thus it is important for councilors and certain others within a school system to be aware of such issues. Continue to Safety and the Students at Hamilton Southeastern Schools, Part 2.